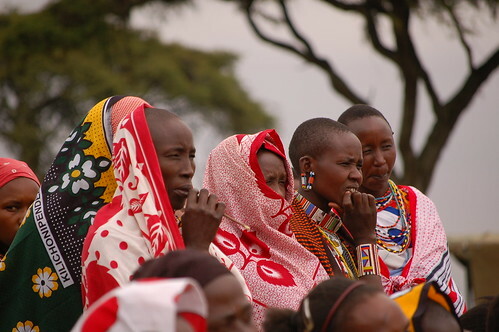 Maasai women in Kenya. Women are playing a key role in pastoralists’ diversification (picture credit: Konrad Glogowski on Flickr). A feature story carried by IRIN this week highlights how women are playing an increasingly important role in pastoralist livelihoods diversification in Kenya. From the sale of her crop of cabbages, Nkoitoi earns up to 2,000 shillings (about US$24) a day. Read the complete story: Kenya: The changing face of pastoralism published 26 March 2012 on the IRIN website. Watch an ILRI photofilm on how pastoralist livelihoods are changing in Kitengela, Kenya. Tags: Ewaso Nyiro, IRIN, Women. Bookmark the permalink.